I have had access to several iPads and computer technology for almost ten months now and in that time a lot has changed in my classroom. Technology - whether an iPad or a desktop computer - is just a tool my students use to show and share their learning. 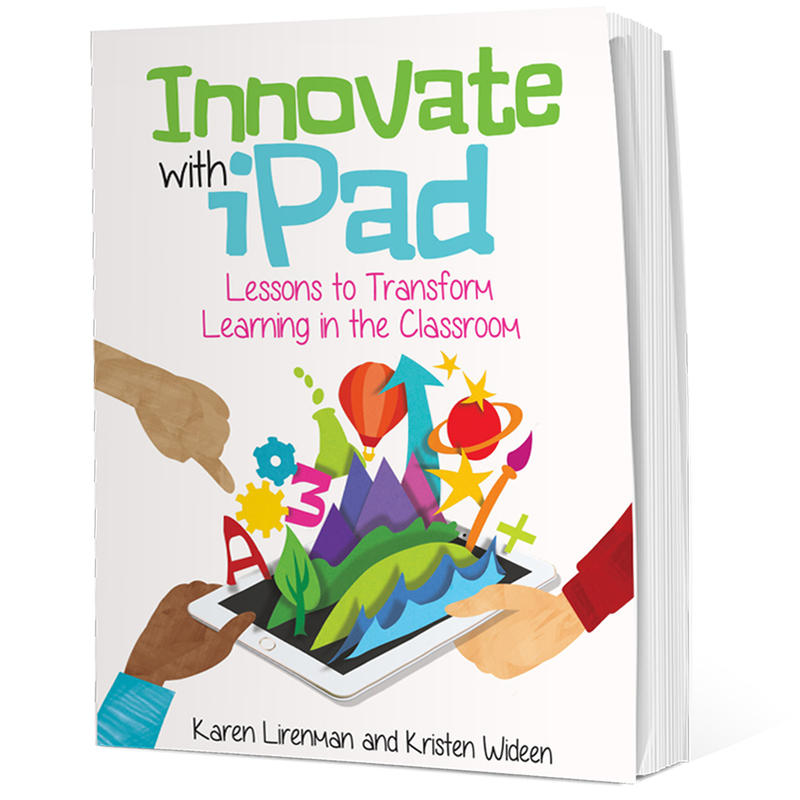 My planning revolves around learning out comes and not specific websites or iPad apps. Here are some ways my students are using technology for their literacy learning but I want to be very clear that we also have literacy learning with out technology too. In my room it's about meeting my students individual needs in the best ways I know how. The British Columbia Prescribed Learning Outcomes (PLOs) for Language Arts are broken into Oral Language, Reading and Viewing, and Writing and Representing. 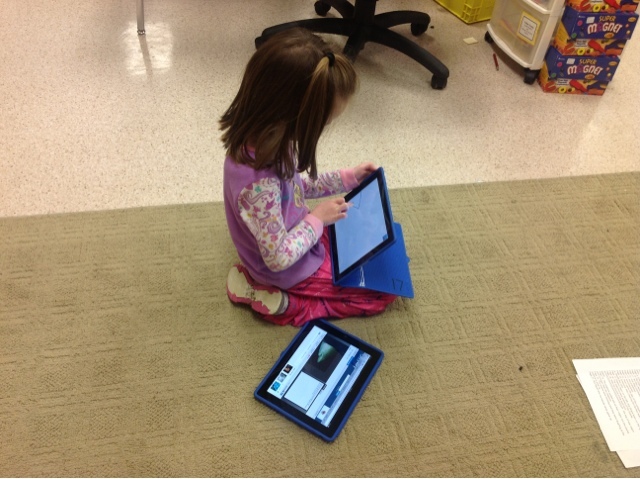 Technology helps my student meet these learning outcomes at their just right level. My students listen and talk a lot in my classroom. To be honest I love listening to them share the thinking behind their learning. They use voice recording apps such as Draw and Tell to take pictures of their non digital work and talk about it. They use it for digital work too. My students love to add voice to a lot of what they do. They often put this thinking up on their individual blogs for the world to see. My students also add voice through the Educreations, Show Me, Screen Chomp, Explain Everything, Croak.it, Voice Record Pro, Audio Boo, Tellagami, and Voice Thread. What I love about these apps is that they provide my quieter students a comfortable setting to share their learning in a private. But what's even cooler is that many of these quiet students amaze me because they are comfortable with adding these voice recording to their individual blogs for the entire world to hear. They wouldn't do that with out technology. We also use Skype/Google Hangout/Face Time for video conferencing to authentically practice our speaking and listening skills. It provides my students with authentic opportunities where they can ask their questions, and answer those being asked of them. They can discuss facts, and share ideas. 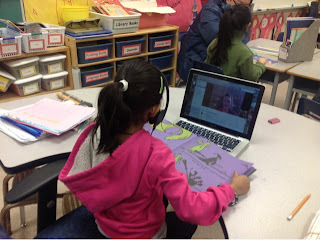 Video conferencing has played a huge part in our Oral Language learning. Recently we had a conversation with Duck Duck Moose, the makers of the Draw and Tell App. What was so powerful about this interaction is that Draw and Tell actually asked my students what they wanted to see added to their apps. My students took this question very seriously and told them. But what was most powerful is that Duck Duck Moose listened. They also asked my students to show them some of the projects they have created with their app and my students couldn't have been prouder. If that's not authentic speaking and listening what is? My class does a lot of reading with technology, whether it's reading a shared story projected onto the class screen, tweets that are directed to our class twitter account, reading blog posts, or moderating comments. They read digital books and access Tumblebooks, Starfall, and National Geographic Young Explorers to name a few. They have books on iPads that track as they read, and others that are interactive. My students also use voice recording apps to record, listen, and reflect on their oral reading. 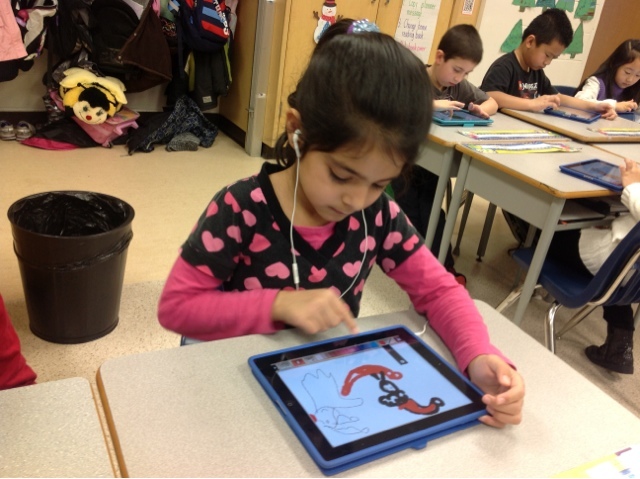 They learn their sight words and word wall words with open ended apps such as Word Wizard, Touch Write, Draw Stars, Draw and Tell, and Glow Colouring. 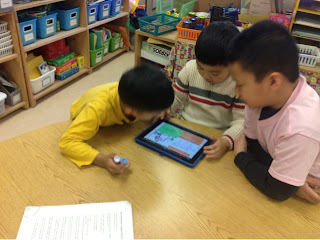 They play with creating words using apps such as Chicktionary and PopWords. We also like closed drill and practiced apps such as Sight Word Bingo, and Sight Words Hangman. 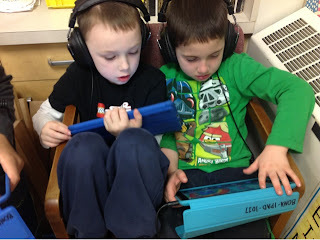 We learn new words and read a lot both digitally and non digitally. Skype has provided my students the opportunity to read 1:1 with a teacher in Saskatchewan. Skype provides my students with a genuine audience who listens, and provides genuine feedback. Technology also helps with reading by providing ways to document what is being read. My students can respond to a piece of literature by discussing it on twitter, or through Today's Meet. They can record important facts graphically using the Popplet app on the iPads too. One of the benefits of having my students blog is that they are keen to read and respond to each others writing. They are also reading blog posts both in school and while OUT of school not because they have to but because they want to. Relationships are growing through blogging and commenting, yet reading and viewing skills are also being reinforced in authentic, meaningful ways. One of the biggest changes I've noticed with the increased access to technology in my classroom is that my students are writing way more than ever before. I have been better able to provide them with more choices for writing and they are thriving in all these choices. Their blogs in particular, are their greatest personal collection of writing. 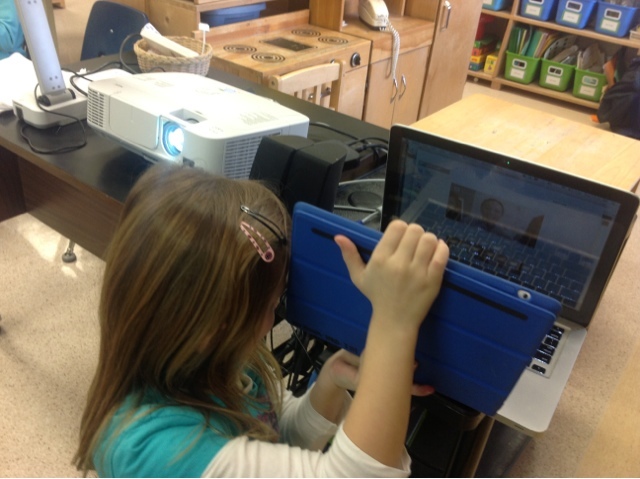 Technology has opened up my class to more ways to share their story. My class's two favourite story writing apps are Book Creator and My Story. They have used book creator a few times now, but most recently for a collaborative writing project with high school students. There are several reasons why I like this app for writing. 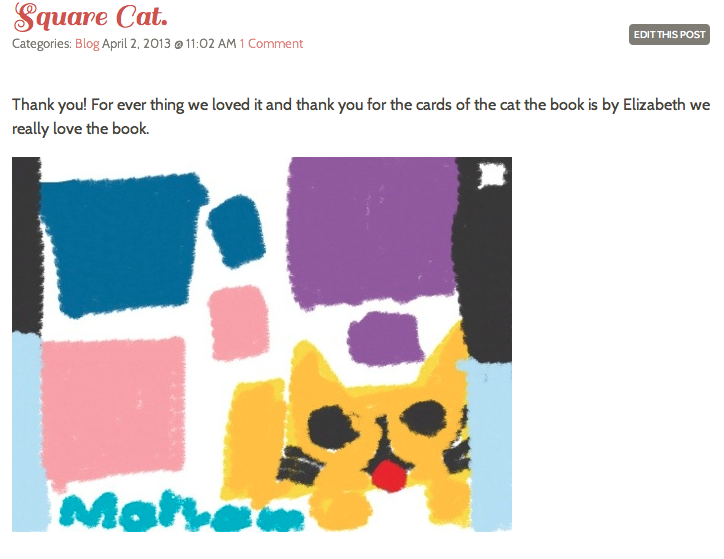 It allows my students to create professional books, it allows my students to add voice to their stories, and it is easy to write collaboratively with this app. My Story is another favourite iPad app for writing. It allows my students to use their drawing, speaking, and writing skills to create personal books. They can be successful with this app no matter where their writing skills are. 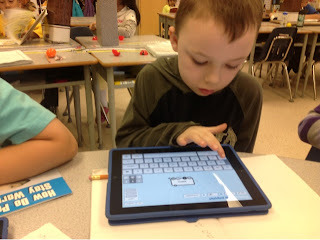 My class also uses Web 2.0 tools such as Voki and Storybird to write with. 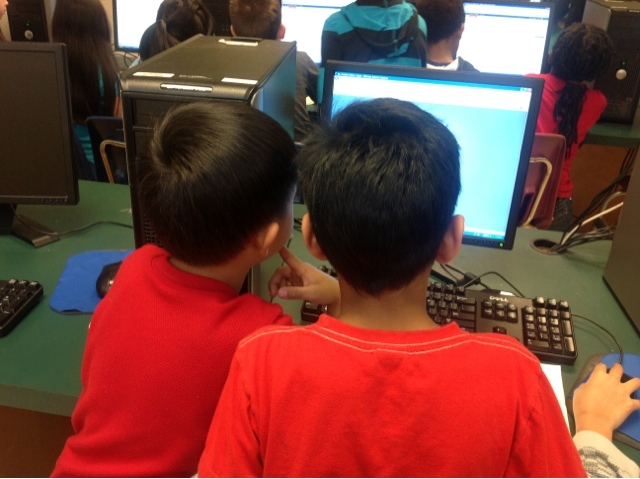 They use basic word processing tools to create books. My students use Skitch and Pic Collage to create visual stories. Twitter has also allowed my students to write directly to someone that is important to them. After reading a book called Boy + Bot written by Ame Dyckman, and then receiving a special treat from her, my students were keen and eager to tweet her to share their thoughts. Recently my students used their personal blogs to thank Elizabeth Schoonmaker for sending us a copy of her book Square Cat. While yes, we could have mailed her thank you notes, this was a much quicker and just as meaningful way to let her know we were thankful. One thing I must stress is that technology has NOT replaced the good teaching I do with out technology. Literacy is a life long skill and so I , and will continue to, find different ways to best teach these skills. I want my students to be authentic readers and writers who are keen and able to listen and share with others. Technology has provided my students with so many more ways to do this. How are you using technology to improve your literacy program? It's so impressive to hear all that you are achieving using technology with Grade 1's! I hope more teacher's out there are as keen to try it. Thanks Jess. I'm always learning, making mistakes, and learning some more. Isn't that what it's all about? Love all of your great ideas! Does it cost money to do the Kid's Blog site? I think that would be great for some of the teachers I work with in my district! 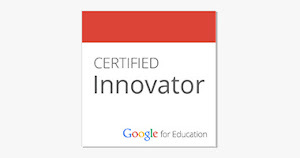 I work with teachers to assist in how to integrate technology into the curriculum. What you are doing in your classroom is exactly what I like to see in a great literacy program! I'd love it if you would check out my blog and see what you think about some of the things we are doing in our classrooms! Your expertise would be of great assistance! These are all useful activities that we must have to let our kids do to become good in their learning's for lower degree. This way, they will be able to achieve high and effective way of learning as well. 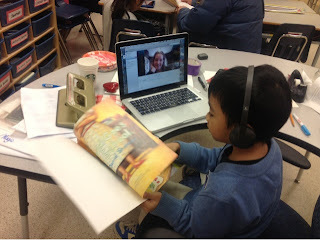 As a UBC Teacher Candidate completing an inquiry about using technology to support students' literacy learning, your blog has been incredibly informative about how this approach would look in a primary classroom. I look forward to reading future posts. Thank you for sharing, Karen!